3sixty at Holy Spirit Parish is a Catholic youth ministry program for high school youth in grades 9-12. It is designed to give the youth a deeper relationship with Jesus Christ and help them to become disciples of Christ in the modern world. Theme Nights: Breaks down the semester theme into sub-topics that helps to deepen the teens’ understanding of their Catholic faith. Issue Nights: Focuses on current teen issues and how teens are called to respond as Catholic Christians. Spotlight Nights: Utilizes mainstream media (movie clips, music videos, songs, TV shows, etc) to teach on matters of faith. Social Nights: Builds community among the teens and it’s purely about having fun! For more information, contact Row David at 408-997-5106 or rdavid@dsj.org. 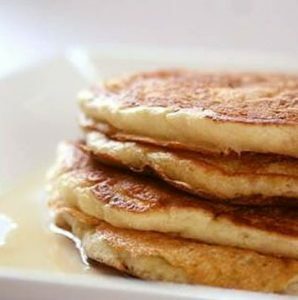 The Autumn Pancake Breakfast will be on Sunday, November 18th from 8:30-11:30 a.m. All proceeds will go directly to youth ministry. No pre-sale tickets will be sold…just come the morning of the 18th in the Parish Hall. Don’t forget to bring your appetite! Registration for the 2018-19 year is now open! Click the button to register today. For questions, contact Row at rdavid@dsj.org. Registration for DYR 2019 is now OPEN! 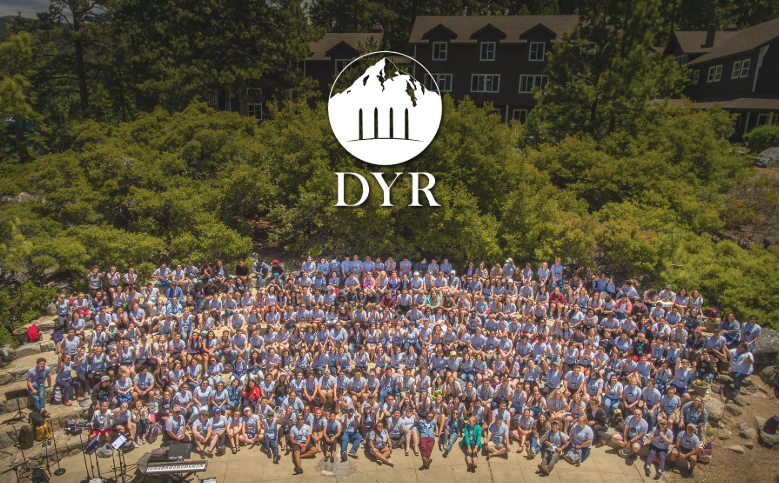 DYR is a weeklong retreat aimed at cultivating a transformational encounter with Jesus Christ. Our hope is to enrich the catholic imagination and deepen the bonds of friendship through the means of beauty, fellowship, and the sacraments. DYR 2019 is scheduled for Monday, June 10th through Friday, June 14th at Zephyr Point Conference Center in Lake Tahoe, NV. We are confident that the multitude of teenagers across our diocese will be greatly blessed by the work of the Holy Spirit present amidst the retreat. It’s that time again! The annual egg roll fundraiser is back! 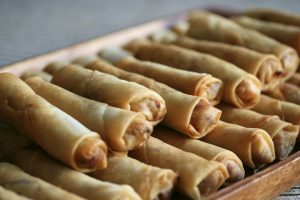 We will be taking orders for packs of egg rolls after all Masses the weekends of January 20-21 and 27-28. Egg rolls come frozen in packs of 10. They will be ready for pick-up the morning of February 4th, from 9:00 a.m. to 1:30 p.m. in the back entrance of the Parish Hall,. Don’t plan your Superbowl party without them! All proceeds to support youth ministry. If you missed the opportunity to order at Mass, email Row at rdavid@dsj.org. Orders can be placed until Wednesday, January 31st. In case of an accident or serious illness, I request 3sixty High School Ministry to contact me. If they are unable to reach me, I hereby authorize them to call my youth's primary physician, indicated below, and follow his/her instructions. If the physician cannot be reached, they may make the necessary arrangements to seek medical care. i.e. event chaperones, drivers, set-up/clean-up crew, etc. In typing my name and date below, I acknowledge that the information I have given is accurate. I agree to direct my youth to cooperate with the rules and instructions of the ministry and parish. In the event that my child consistently misbehaves and/or acts inappropriately, I agree to be contacted by the youth leader and pick up my youth from the event. If the problem continues to persist, I understand that my child may be removed from the program for the remainder of the year. Accept - I hereby grant permission for my youth to be photographed and/or video recorded during 3sixty activities and events. I understand that my youth may decline to be photographed and/or video recorded at any time. I further grant permission for the resulting photographs and/or video footage to be edited, if necessary, and then published and/or broadcasted for the purpose of promoting 3sixty and/or youth programs at Holy Spirit Parish. Decline - I hereby decline permission for my youth to be photographed and/or video recorded during 3sixty activities and events. I have instructed my youth to decline to be photographed and/or video recorded at all times. I have further instructed my youth to notify 3sixty leaders that he/she may not be photographed and/or video recorded under any circumstances.